It looks so disappointing when you purchase an android device with sim lock features. Well, in certain countries most of the android smartphones comes with the inbuilt lock features which forbids the use of those smartphone in other countries network providers. Without much say, today I would be briefing you on how to unlock sim on Galaxy S3 and Note 2. You can also try the procedure on android device above 4.1.1 or android smartphones of higher version. ==> After dialing the code, a Service Menu would be displayed on your android screen, then simply select the UTMS option. ==> The next step is to tap the Debug screen along with the Phone control option in the next screen. ==> Then, on the next screen, tap on Network Lock option and select Perso SHA256 OFF and wait for 30 seconds, and select the back option of your device or tap menu button. ==> After that, select NW Lock NV Data INITIALLIZ and wait for about 1min. ==> Finally, reboot your Android device. 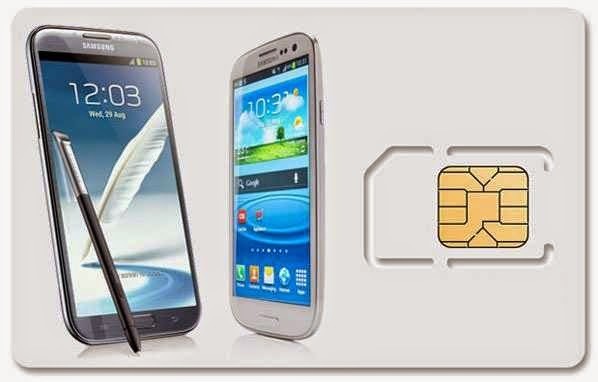 Your sim is successfully unlocked, and you can flex your android smartphone in any country with their network providers. Hope this helps. It would be fun joining our daily mail readers Here.